Workplace Jerks! Will This Person be a Speed Bump, a Pothole or a Landmine? New book by Dale Paulson, Ph.D., President of ARG. Available at Amazon. Takes a look, both serious and funny, at workplace jerks and describes how the Workplace Attitudes Test was developed. Allegiance Research Group (ARG) has been customizing methodologies to meet the needs of clients since 1987 and has worked with over 100 organizations. 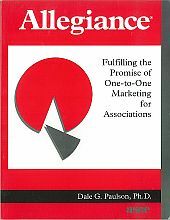 It is lead by Dr. Dale Paulson who has received several trademarks for his unique methods, wrote the definitive book on market segmentation for national organizations, and is recognized as a world leader in designing new strategies. ARG knows that there are many web sites and research companies and appreciates your taking the time to visit us today. Unlike many companies, at ARG you will always work with a principal who has an advanced degree in research. This site has several tabs that include our products, list of clients, the principals, and our free Fact Sheets that answer many questions about research. Mailboxers, Relevant Participants, Shapers, CompShoppers, Cognoscenti, Boosters, Altruistics, Doubters, and Non-Relevants. Workplace Attitudes Test� - a pre-employment test that identifies potentially-disruptive attitudes in the workplace. In use for more than ten years, the test is available online. 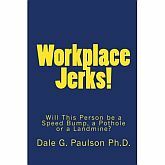 The new book by Dr. Paulson is available at Amazon and is titled Workplace Jerks! Will This Person be a Speed Bump, a Pothole or a Landmine? Membership, Compensation, and Readership Surveys - mail and Internet surveys done locally, nationally, and internationally. Ask about our strategy for mail surveys with response rates up to 80 percent. Additional Products - enhanced focus groups, tag-line development, consumer decisional analysis using pictographic research, board relations using fixed-sum preference scales, speeches, seminars, and radio programs. You can read about Dr. Paulson's pictographic research in a chapter he wrote for the book Brick and Mortar Shopping in the 21st Century.